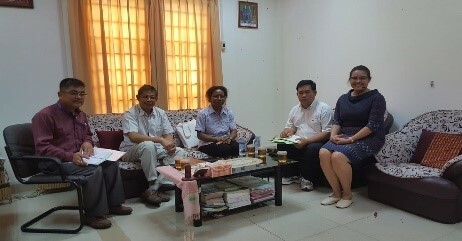 Discussions between ASTI and the DG and staff of the Cambodian Agricultural Research and Development Institute (CARDI), Phnom Penh. As of November 2018, 4 of the 10 countries (Cambodia, Fiji, Indonesia, Lao PDR, Malaysia, Myanmar, Philippines, PNG, Thailand and Vietnam) in which ACIAR-supported ASTI activities are taking place, have completed data collection. Preparations are currently underway to process, analyze and develop a series of research publications from the data. PNG was the first country in the region to submit a complete set of survey forms, followed by Vietnam, Cambodia and Lao PDR. 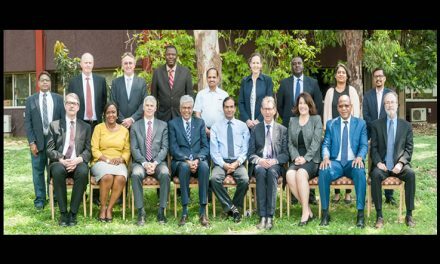 Other countries have made considerable progress as well and are likely to complete data collection activities by January 2019. In each country, survey activities are coordinated by dedicated focal points from main agricultural agencies. They play a key role in mobilizing survey respondents, distributing survey forms, ensuring timely submissions, following up on important data inconsistencies and omissions, and submitting data back to ASTI. ASTI (APAARI and IFPRI) project staff then process the data and merge it with historical datasets before co-authoring a series of country reports with the focal points describing the key trends, challenges, and policy implications emerging from the data. In addition to these country reports, all national-level data will be made available on interactive country pages, benchmarking, and data download tools on the ASTI website: www.asti.cgiar.org. APAARI, IFPRI, and country partners are currently also developing a more in-depth analytical research agenda to provide policymakers, R&D managers, and other stakeholders in the Indo-Pacific region with research-based evidence of the impact of present R&D investment decisions on medium and long-term growth of agriculture with the aim of improving resource allocation and efficiency of agricultural research.